This product[about December 26] releaseIt becomes the の reservation product. The shipment of the productAfter December 26Please warn となりますのでご. ※The designation of the shipment day would like the date after December 26. Both the dress and the skirt become the flare, and the cover of the point to be worried about including a waist and the hips is perfect! 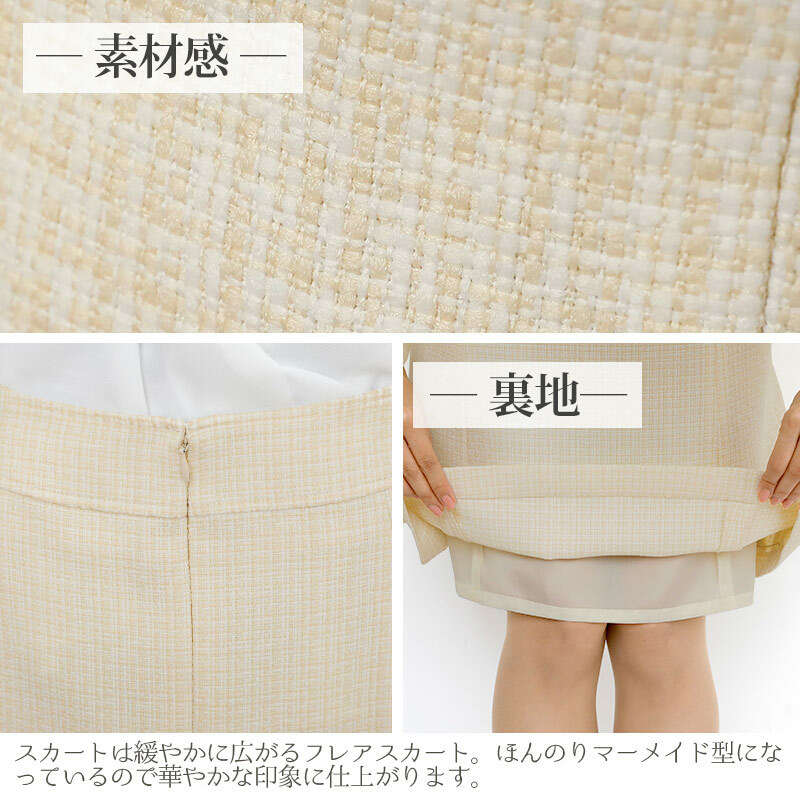 It is the recommended first place for the person who does not like a tight skirt. If match a skirt with a jacket; in the Cutch re-atmosphere that did. 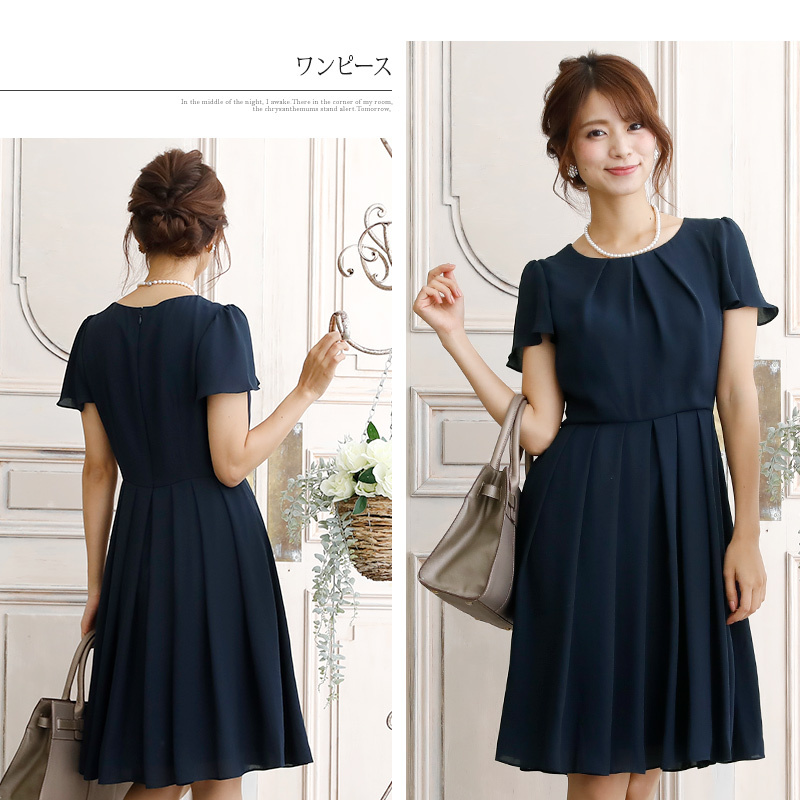 It is recommended to wear by the ensemble of the dress when I break it with a feminine atmosphere a little and want to wear it. 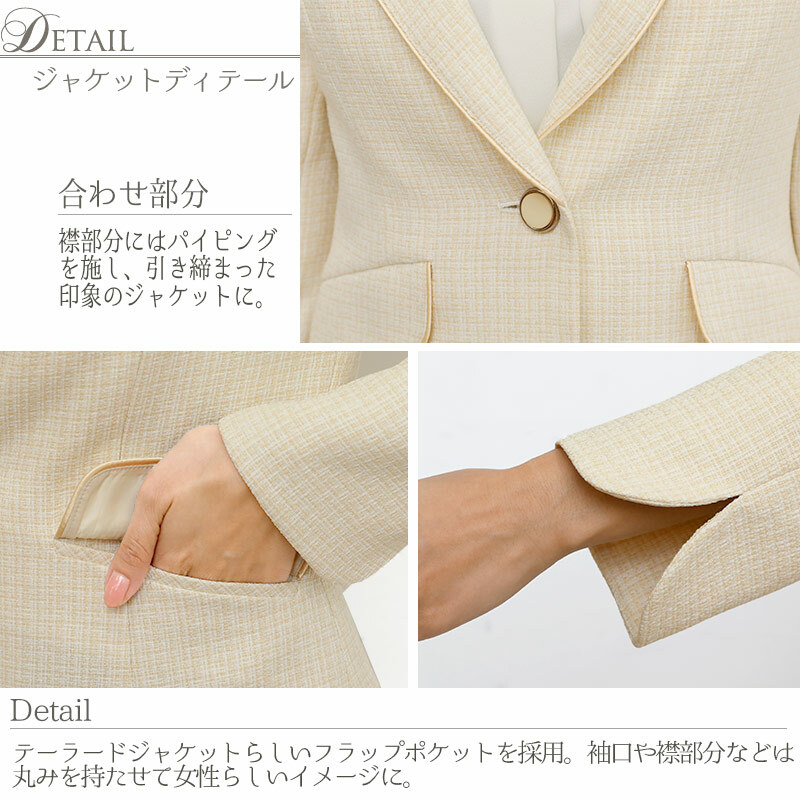 A collar or a sleeve become the round generally while the jacket being scattered, and doing it and are a feminine impression. 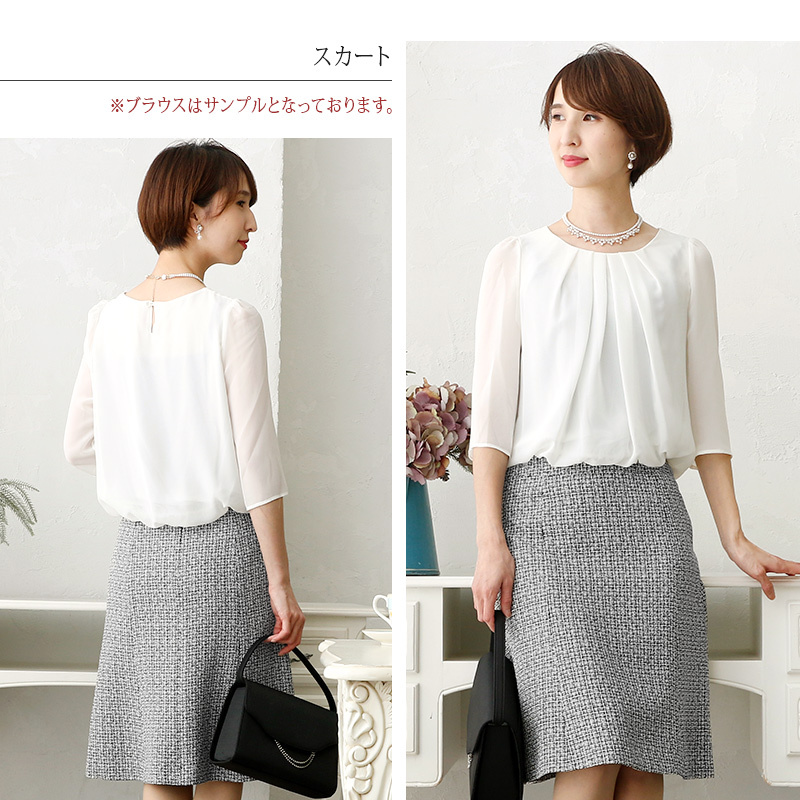 There is a feeling of ceremony, too and can wear it for invites. In the feel that a dress was crepe chiffon and did softly. 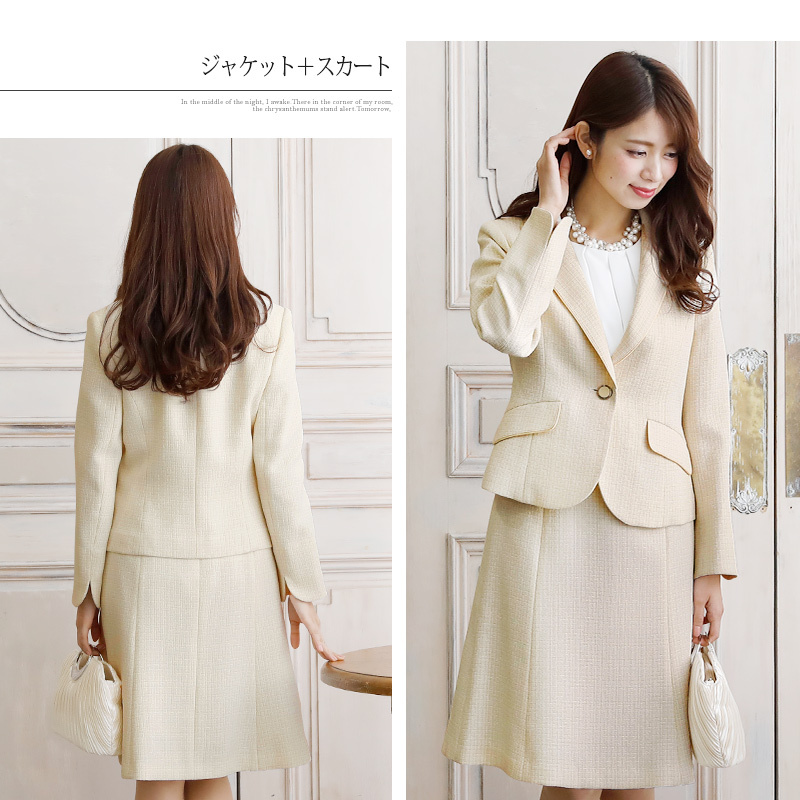 A jacket and the skirt are a feeling of cloth which they did well. 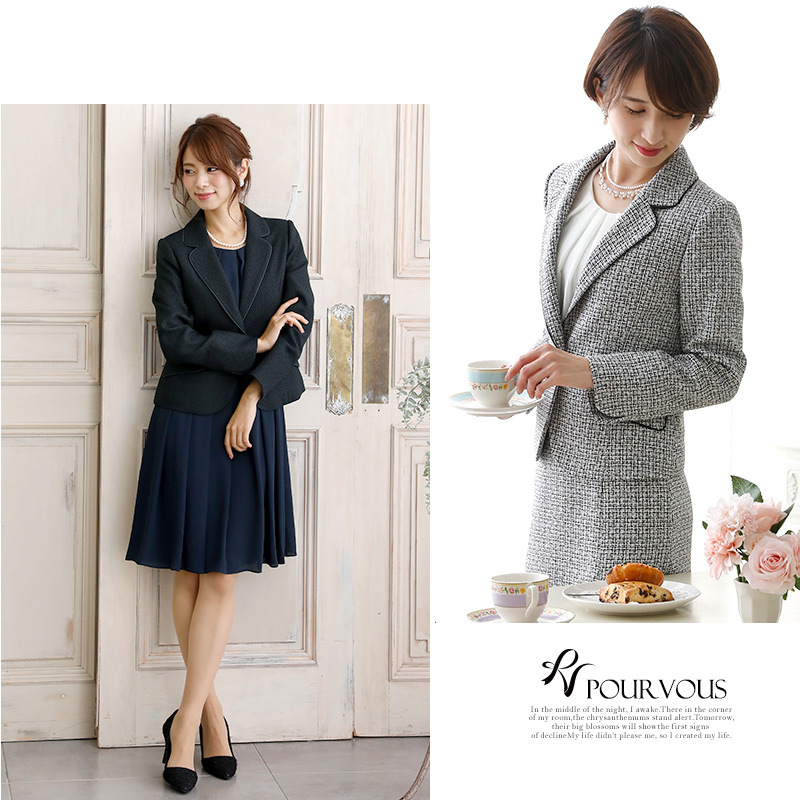 This productAbout December 26 arrival planned selling by subscriptionとなります.